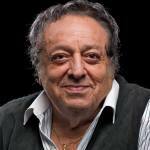 As everyone knows JOSE SULAIMAN, "The President" became the main character of WBC (World Boxing Circus) convention that is celebrated in Cancun, Mexico. Sulaiman has been the president of the WBC for the last 35 years and after a long argument with different promoters and members of the organization he got angry and left the room. "I quit I don't want to be president no more, I feel betrayed by my friends of the committee and by Don King, I helped Don King during his best years and worse years, I thought he was my friend and I considered him as a brother, but this is just too much for me at this stage of my life,"' said Sulaiman. Don Jose seemed disappointed with his team and angry at Don King because there was a heavy argument about Vitali Klitschko's next defense. For his part the president of the WBCircus wanted to allow Vitali to make a optional defense of his title, and that way the WBC would be able to make a important income to their economy that has been hurt by several lawsuits, the WBC committee supported Don King as he is trying to get Odlanier Solis the mandatory title shot at Klitschko. One hour later Sulaiman returned to the podium apologized for his emotional reaction, and resumed his role as the WBC president. Same old story, same old Sulaiman who should indeed quit as president, but the job is well paid and he won't quit for sure, the circus continues in Cancun and Sulaiman was more Maromero Paez than Naseem Hamed a complete clown in this one.